My fabric was very thin and flimsy, so I used a lightweight iron on interfacing. I wasn’t confident that the doubled fabric alone would hold up like I wanted it to. Fold both straps in half, and press. Open up the straps, and fold the edges in 1/2″ and press. 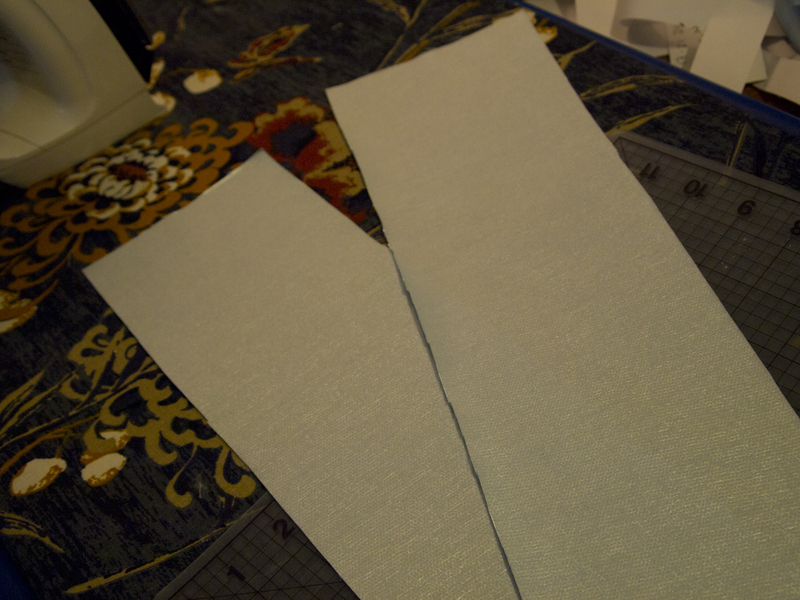 I used a fabric pencil to trace a line 1/2″ away from the edge since the seams need to be even. 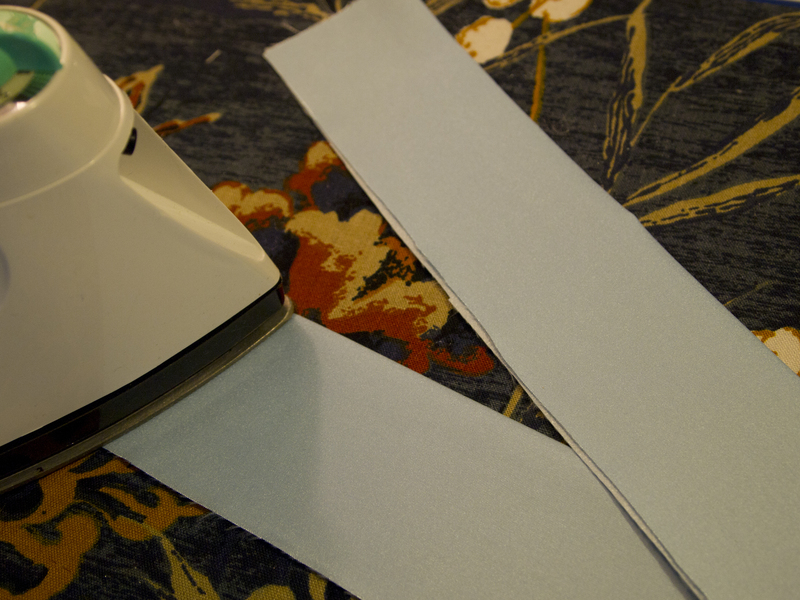 Fold the strap closed along the crease that you created the first time you ironed the strap, and re-press if needed. 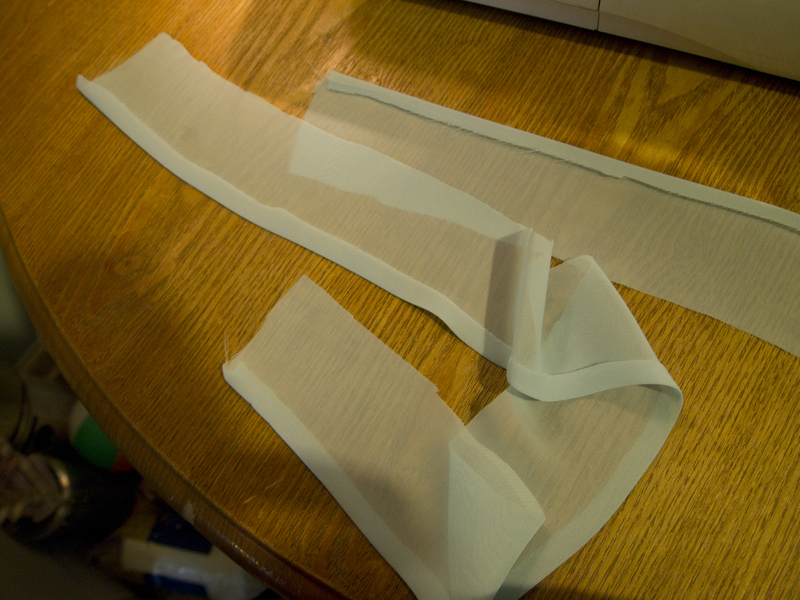 I cut a 3″ wide strip of chiffon about 1 1/2 times the length I needed (so for my 16″ length I cut a strip 3″ x 24″) I was planning on doing a tiny little hem, but the material was very hard to work with, so I ended up with a 1/4″ hem. It worked, but it not as finished as I would have liked it to have been. My mom (who is brilliant) suggested that next time I tried something like this I just fold the fabric in half so I wouldn’t have to hem a raw edge. So, you should cut out a 6″ wide strip, and fold it in half to get a nice, finished edge. 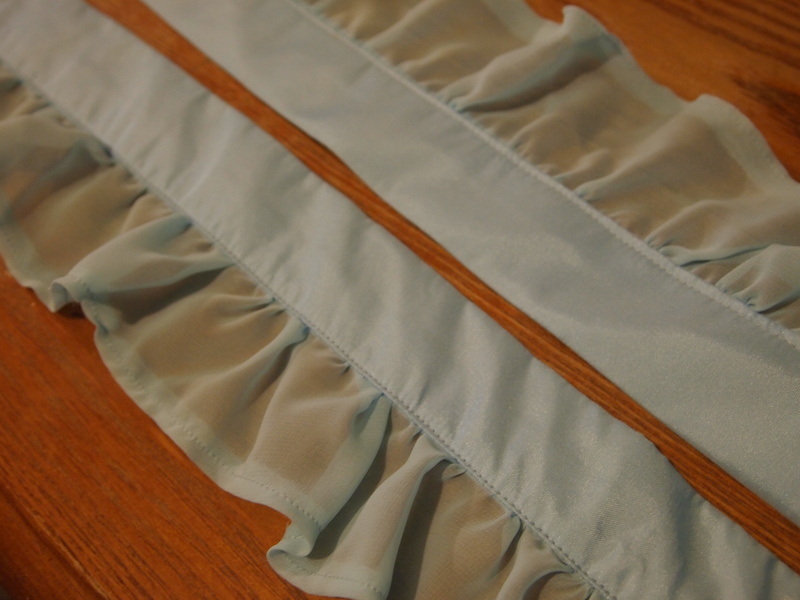 To make the ruffle ruffly, set your machine’s stitch length to its longest setting, and do a straight stitch 1/4″ from the raw edges. 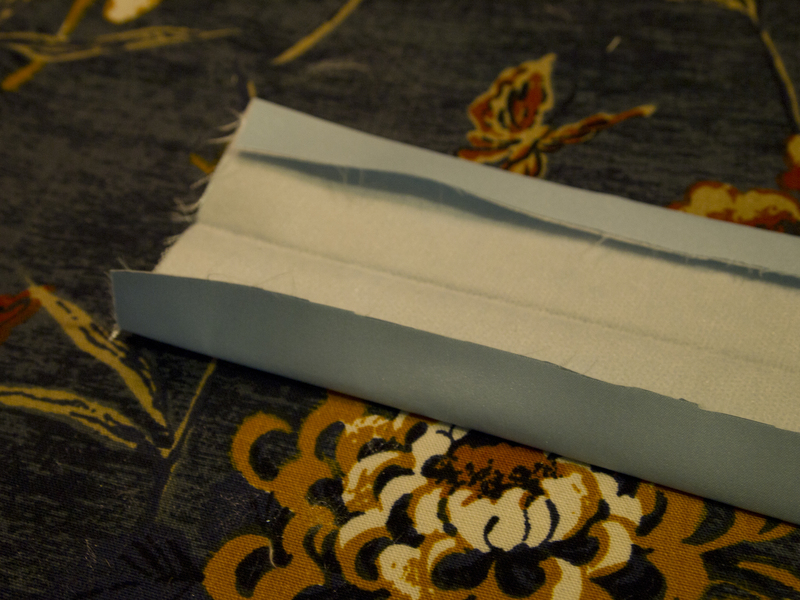 Leave the threads long, and slide the material along the seam to gather it. 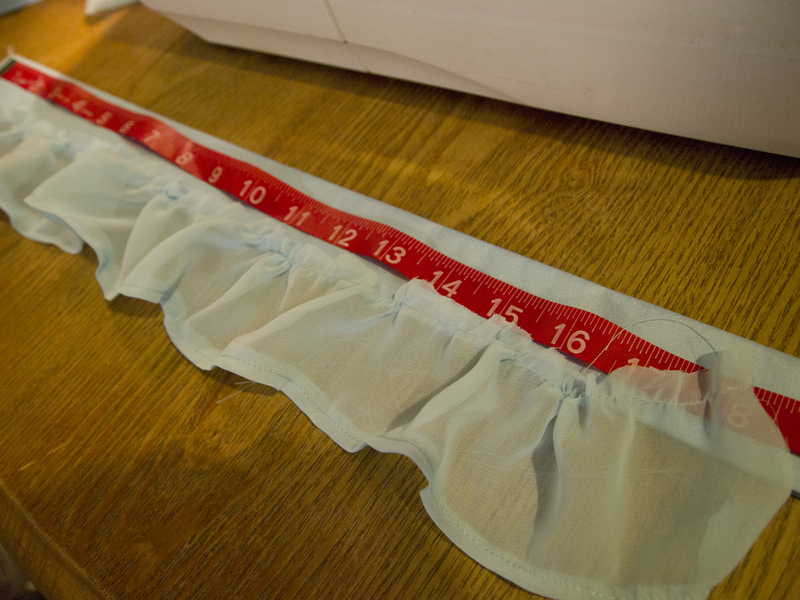 Hold your material up against a tape measure to make sure it is long enough, and even out the ruffles. Slip the ruffled chiffon inside of the strap, and pin it in place making sure the seam is concealed. 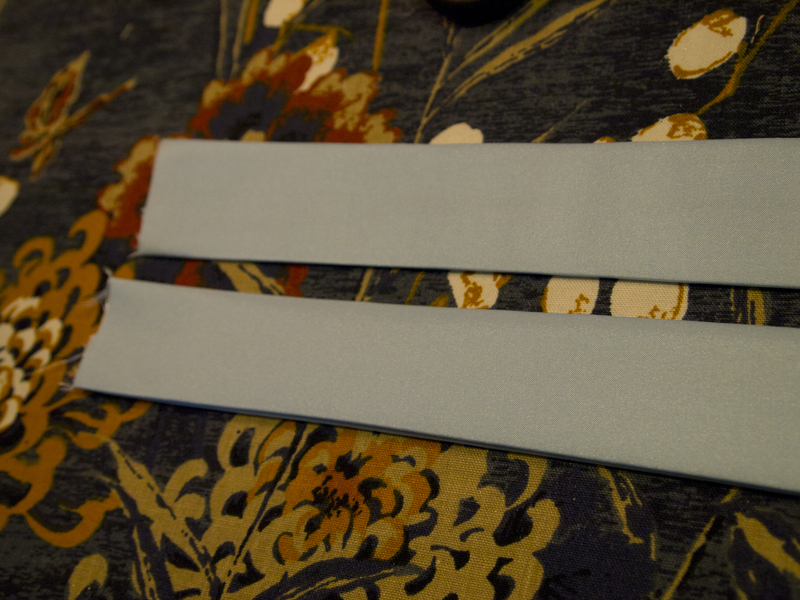 Reset the stitch length to the correct size, and stitch 1/8″ away from the edge of the strap fabric. 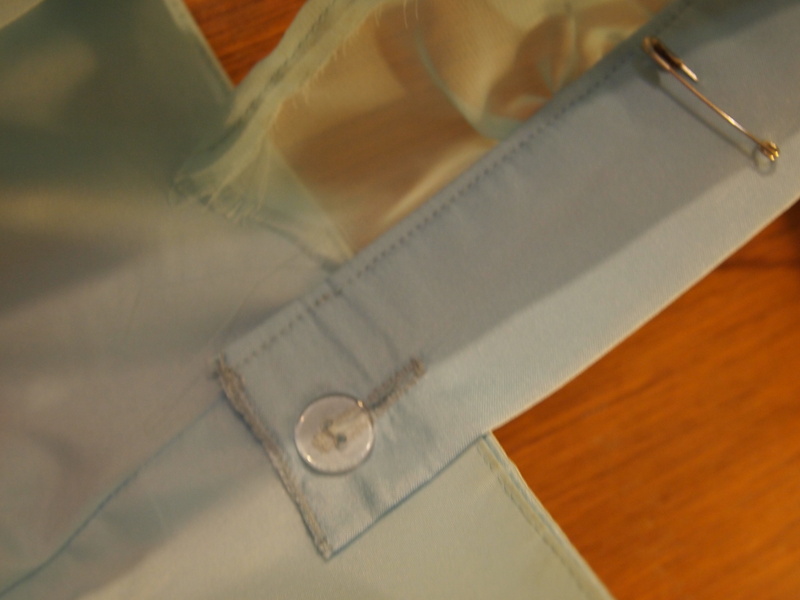 You can attach the straps either by hand stitching them to the dress, or by adding buttons. 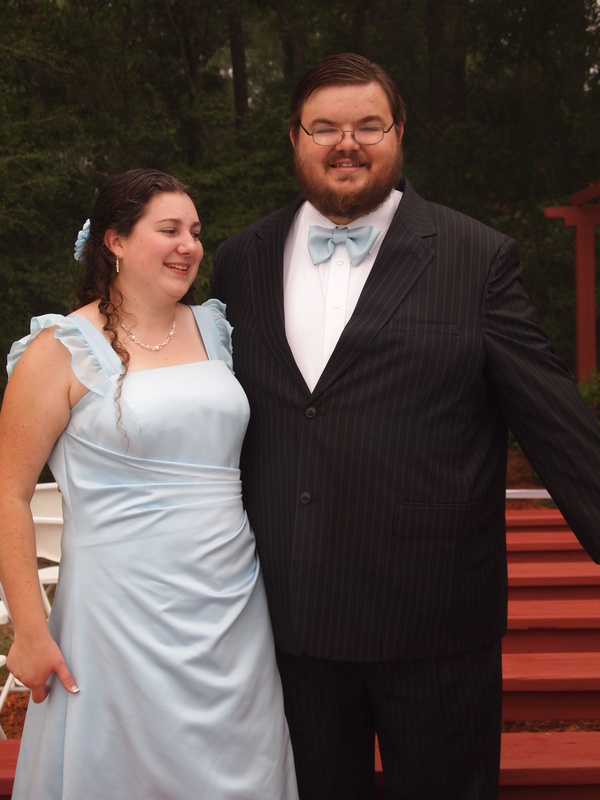 I sewed buttonholes on each end of the strap, and then sewed buttons to the lining of my dress. I wanted to wear a real bra, so I added some safety pins to the bottom of the straps, and slipped my bra straps through them. I was going to cut a slit into the straps to slide my bra straps through, but ran out of time- the safety pins worked fine. As a side note: we had an awful customer service experience with David’s Bridal, which I hear is common with them. 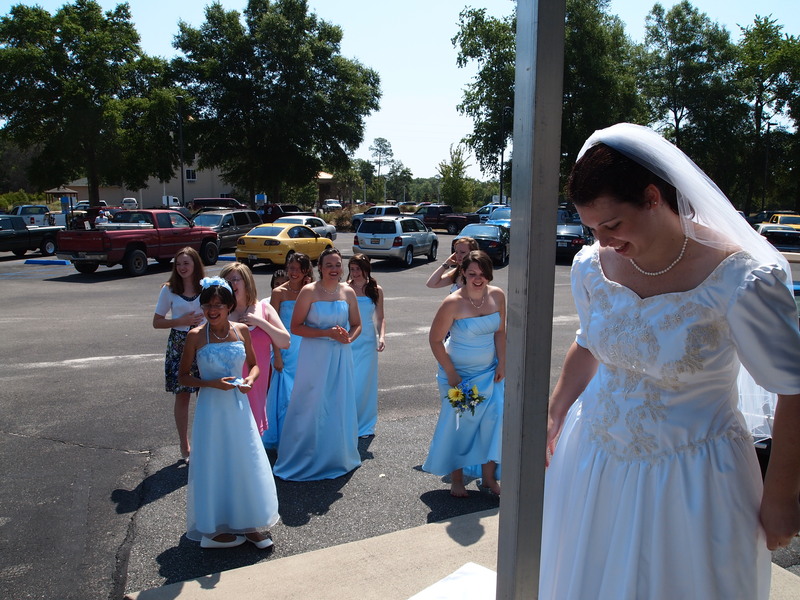 I spent hours on the phone with multiple people, and can’t believe how much trouble they had getting a few bits of information correct – if you are looking to buy a dress, I would look somewhere else. You did a fabulous job on the dress!! It looked lovely on you. 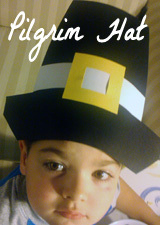 Hope you had a great time with your family. Thanks for the clear directions!